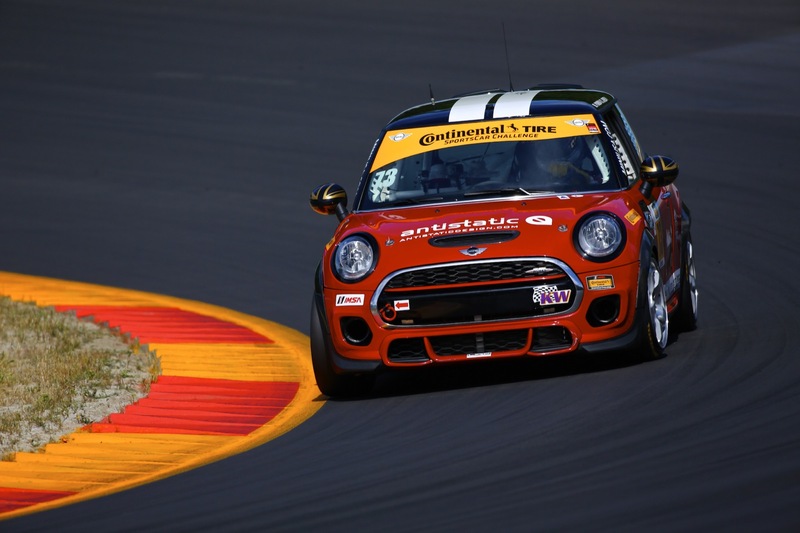 The MINI JCW Team has posted up an excellent post-race report for Watkins Glen. They discuss the amazing qualifying session. The qualifying session on Friday was truly a nail biter, as cars 73 and 52, driven by Derek Jones and James Vance respectively, fiercely fought for pole position. It came down to the last lap of the qualifying session as Jones took the pole setting a time of 2:19.332. Vance completed the front row in second place with just 1/10 of a second off of Jones’ pole setting time. Both drivers were 1/2 a second faster than the closest competitor. And then go on to discuss some of the issues they experienced during the event. As the team continued to fight the competition, Mat Pombo took over driving duties for car 73, wheel vibrations forced him to slow down and come in for extra pit stops to repair a broken wheel stud. Unfortunately this resulted in a disappointing 15th place. Vance after a dominant performance pitted and handed over number 52 to Ramin Abdolvahabi. During Abdolvahabi’s stint there was an encounter with a competitor forcing him to pit for repairs resulting in a 17th place finish. You can read the full report on their website here. And be sure to check out our full recap with results here.